We’d love your help. Let us know what’s wrong with this preview of The Boxed Angel by Robert DiGiacomo. 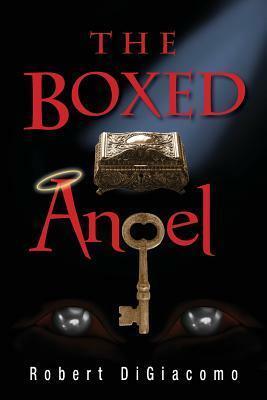 To ask other readers questions about The Boxed Angel, please sign up. This is part thriller, part history, part mystical mystery, party political commentary and it is a times fast paced and interesting but at others it is a little convoluted and absurd. The hero, Al Campo hides many secrets in his cluttered Philadelphia area home and it's not just the one he finds in an old couch. I was drawn to the book due to its location - I was born in Philadelphia and it holds a soft spot in my heart. Reading about places I know and miss was probably the best part of the book This is part thriller, part history, part mystical mystery, party political commentary and it is a times fast paced and interesting but at others it is a little convoluted and absurd. The hero, Al Campo hides many secrets in his cluttered Philadelphia area home and it's not just the one he finds in an old couch. I was drawn to the book due to its location - I was born in Philadelphia and it holds a soft spot in my heart. Reading about places I know and miss was probably the best part of the book for me. The storyline is solid, yet nothing really exciting or new. It's a basic megalomaniac wants to rule the world, needs ancient mystical device to do so, device ends up in wrong yet somehow right hands, chaos ensues with a big blowout of a twist ending. Again, it was not bad, it was a solid thriller. I guess I was just hoping for more than I found. A good read by a local writer.